Get help on your Farm with access to 1000s of Volunteer WWOOFers. The opportunity for you to get willing volunteers on your farm for no monetary exchange. They give 4-6 hours per day maximum and in return you feed and house them. 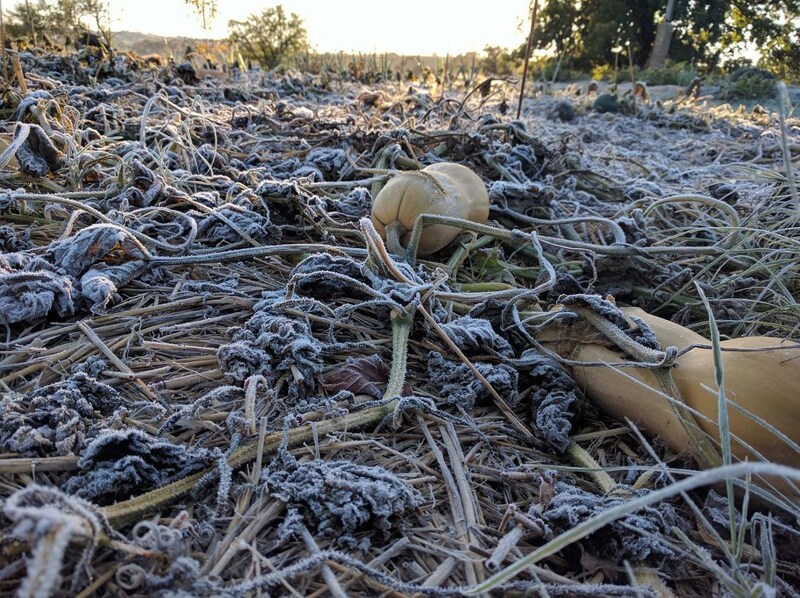 WWOOF is a worldwide movement linking volunteers with organic farmers and growers to promote cultural and educational experiences based on trust and non-monetary exchanges, helping to build a sustainable global community. 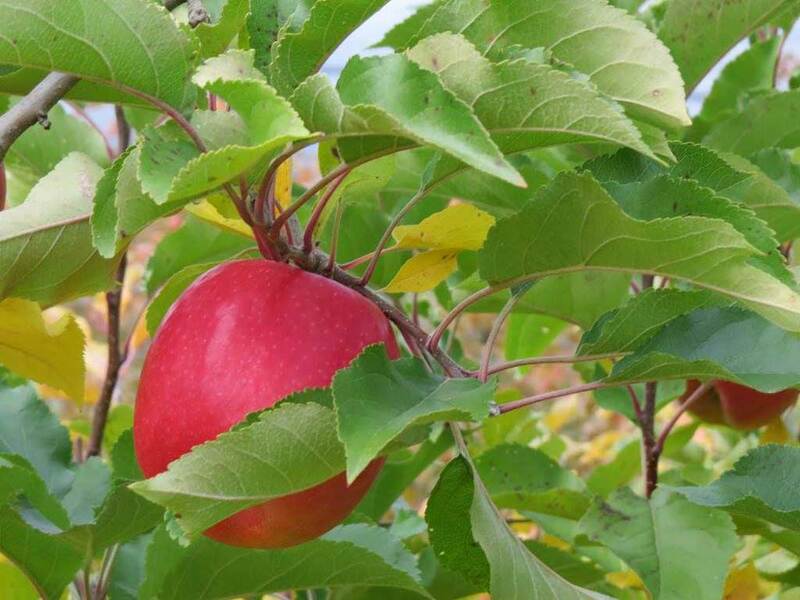 Connect to WWOOFers and Hosts using our Website or Mobile App. Create your own unique Profile, showcasing your property, your family and your techniques. Found a potential Volunteer? Save them to your Favourites and access them online or offline. Contact Volunteers in real time with Instant Private messaging, as well as Discussion Forums and a Notice Board. Showcase your farm with your own image gallery and videos. Go on, show off. Download our free Mobile App and search for Volunteers, or connect with other Hosts around Australia. Note: the App will not do everything the Computer does so for complex searches we suggest logging in through the website to your Profile. Use the intuitive Map Search to find Volunteers nearby your location or anywhere in Australia. Read the Reviews of other Host Farms, or leave your own Reviews for Volunteers. The WWOOF Australia office is open 5 days a week, available via phone, email and fax. Take full advantage of our Website and Mobile App to search for Volunteer WWOOFers to help you on your Host Farm. Teach others your skills and improve your property, finish those jobs that you thought would never get done, show travellers the local sights, enjoy companionship, and foster cultural exchange. 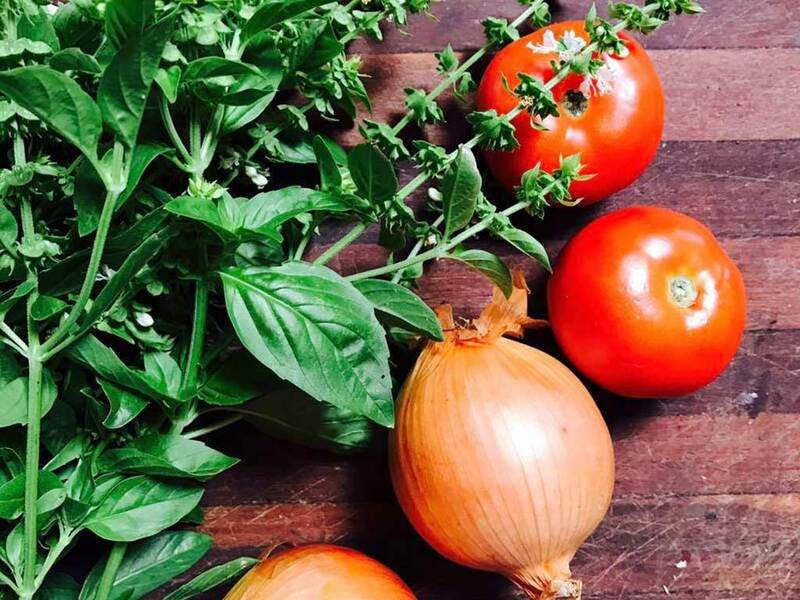 Grow or produce organic products, but not necessarily be ‘certified organic’. Provide experiences to WWOOFers in sustainable land care: organic, bio-dynamic or permaculture techniques. Provide all food and clean comfortable accommodation to WWOOFers in exchange for 4 to 6 hours maximum of volunteering per day (Max 38 hours per week). Be an ‘Ambassador for Australia’ and provide a safe haven for WWOOFers. Treat WWOOFers with respect and consideration. Opening your home and your heart to travellers from all over the world offers the potential for amazing cultural experiences, new ideas, new foods and lifelong friendships. WWOOFers live and work with their hosts in the same way that relatives and friends do when they visit. Your best WWOOFers will become part of your family. If you travel overseas one day, they may well return your hospitality! 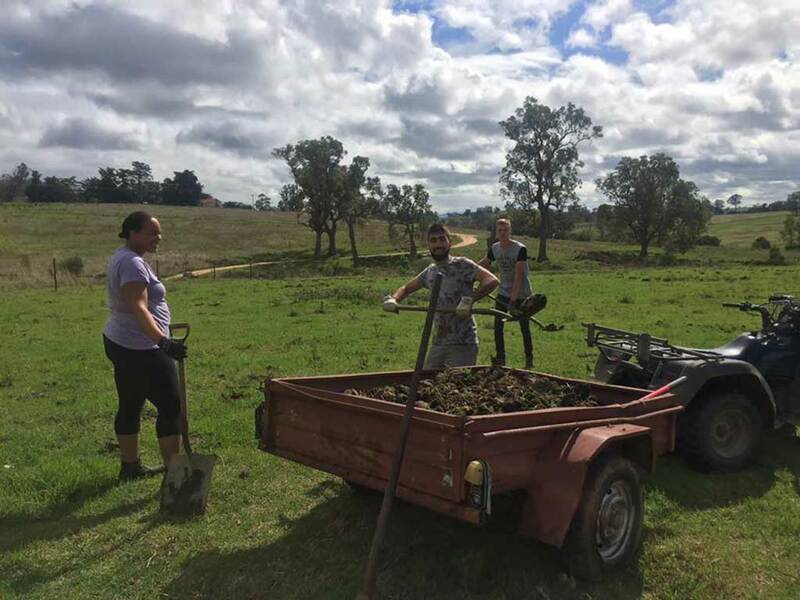 Joining WWOOF Australia is as easy as 1, 2, 3 - gain access to 1000’s of Volunteers looking for Host Farms just like yours. Certified Organic and non-certified memberships available. Showcase your property to potential volunteers. Use images and video. Use the website or app to search for and communicate with volunteers. 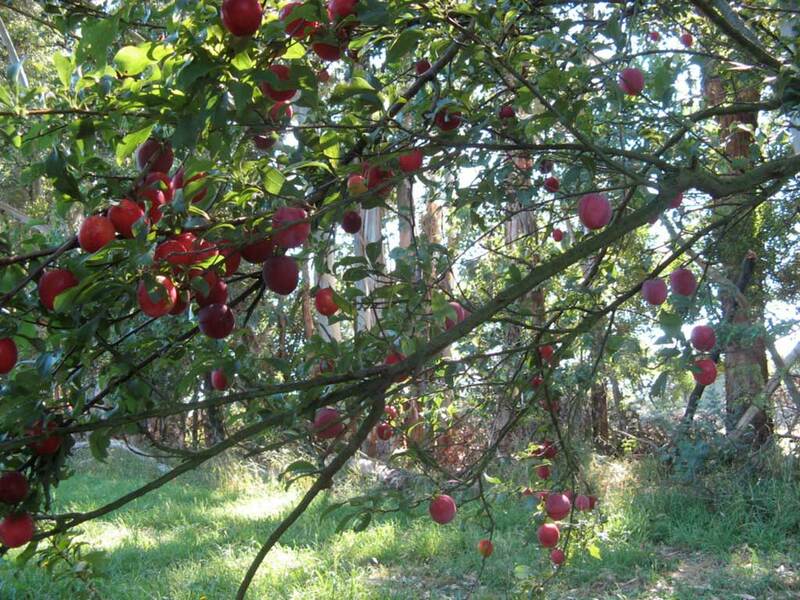 WWOOF host farm information plus some history and background information. • Grow or produce organic products. • Provide experiences to WWOOFers in organic farming/gardening techniques. 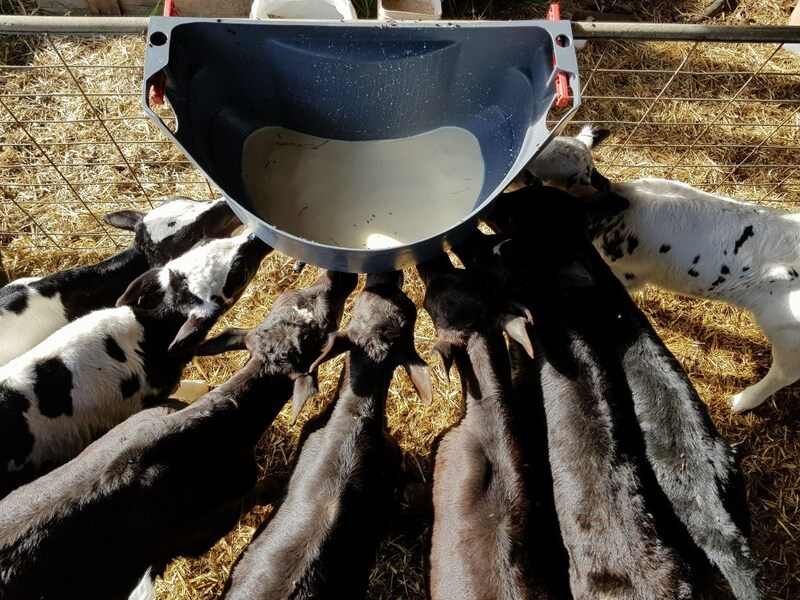 • Provide all food and clean comfortable accommodation to WWOOFers in exchange for 4 to 6 hours maximum of volunteering per day (Max 38 hours per week). 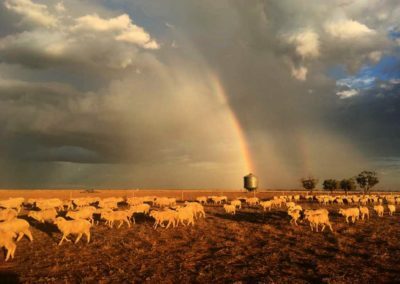 • Be an ‘Ambassador for Australia’ and provide a safe haven for WWOOFers. • Treat WWOOFers with respect and consideration. 1. WWOOFers provide photo ID and proof of membership on arrival. 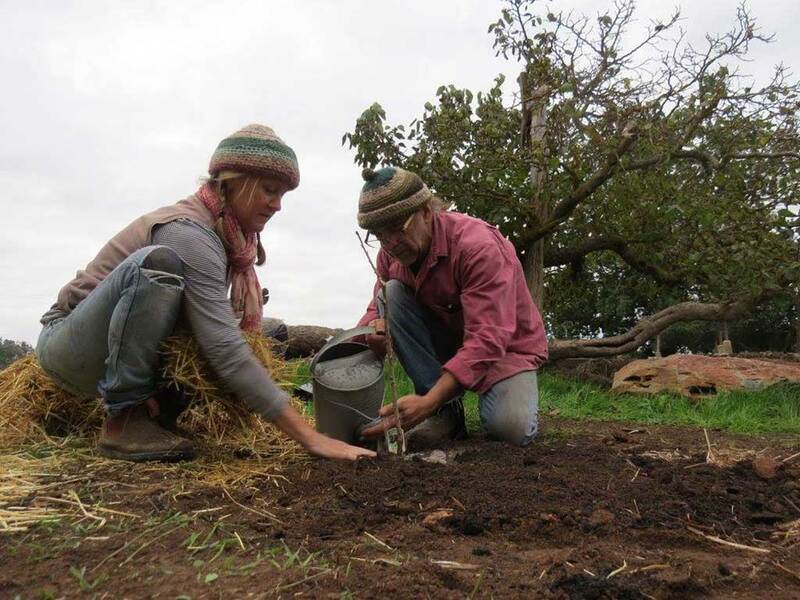 The WWOOFers profile in the WWOOF App or website is their membership proof. 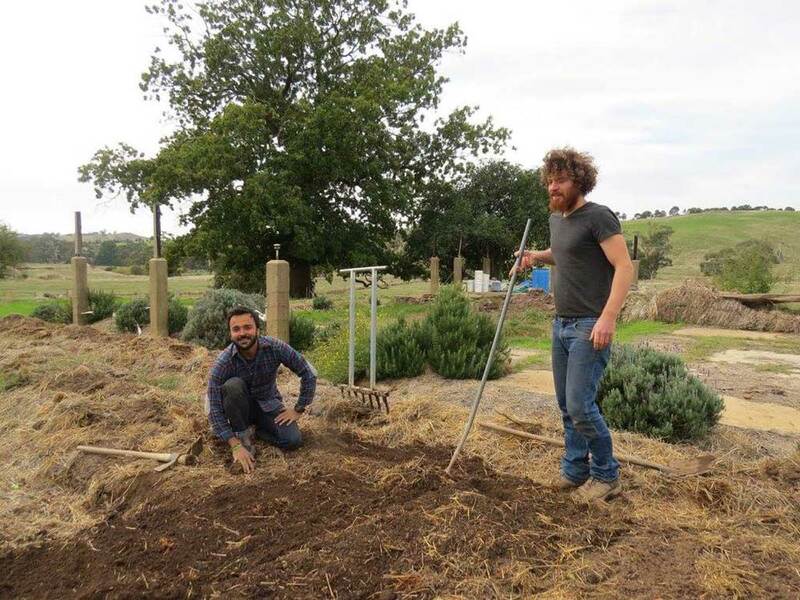 Hosts should arrange membership for non-members online at wwoof.com.au or by calling WWOOF. 2. Hosts keep a Guestbook for WWOOFers to sign and record their Membership user name/number, visa type and dates of their visit. Please download this sample Guestbook page. If required the WWOOFer agreement should be signed by host and WWOOFer. 3. The most important experience for WWOOFers is learning about your farming/gardening techniques. Please be patient and available, working with them whenever possible. Demonstrate how tools and equipment work to avoid breakages and injuries. 4. Provide a variety of jobs, even if very basic. Include WWOOFers in the whole routine of your property. Do not isolate them: working alone for hours can be boring and lonely. 5. WWOOFing is a voluntary, non-monetary exchange. Explain work patterns so WWOOFers can organise their time. They will expect to volunteer for 4 to 6 hours in exchange for their food and board. Flexible hours allow WWOOFers to have free days, discuss hours and types of work, conditions, days off, etc. on initial inquiry to avoid misunderstandings. 5 days volunteering in 7 days is preferred, a maximum of 38 hrs per 7 days. 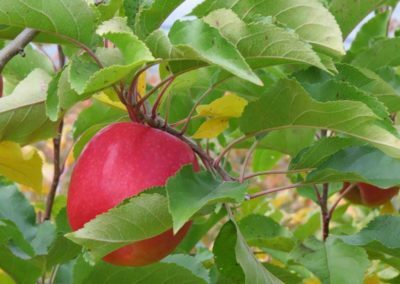 • Hospitality work, waitressing and child-care are not acceptable WWOOFing work. • WWOOFers should keep their living area tidy, clean up themselves and help with meals or washing up, but housework should not be the primary work they are asked to do. 6. Most Hosts provide accommodation in a spare room in their home. WWOOFers eat with the family and share in the chores. A caravan, cabin, tent or a self-contained dwelling are acceptable alternatives. Make this clear in your profile and at booking. Ask about special diets on initial inquiry, if you cannot cater for this, ask WWOOFers to bring any special food. 7. Accommodation and food preparation areas must be adequate and hygienic. 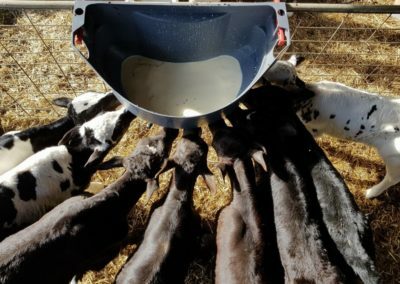 Food and bedding should be clean and warm. 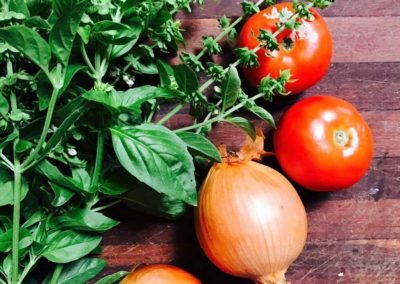 Food should be fresh and organic where possible. 8. Hosts are Ambassadors for Australia. In the spirit of cultural exchange treat WWOOFers as members of your family and assist them to receive suitable medical treatment if necessary. 9. Many WWOOFers use public transport. Picking WWOOFers up from the nearest bus or train by arrangement is helpful. Always exchange mobile numbers in case of problems. 10. We recommend inviting WWOOFers for short stays initially, negotiating longer stays if you are both happy. If WWOOFers don’t abide by your ‘house rules’ or follow the WWOOF Guidelines you may ask them to leave. Facilitate this by offering internet or phone access to find another place to stay and offer a lift to the bus, town or the nearest Hostel if needed. 11. Abusive language, inappropriate behaviour and sexual harassment of any kind will not be tolerated, this includes swearing or yelling at a WWOOFer or intentional unwelcome touching of any kind, including hugging. 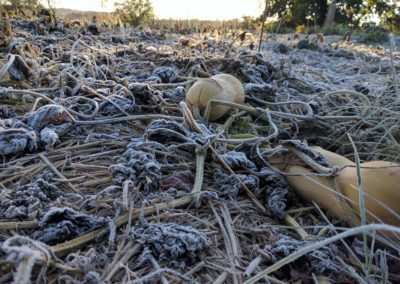 If we receive complaints of this nature, your WWOOF membership may be cancelled, at our discretion. 12. WWOOF reserves the right to refuse to list a Host or to remove a Host profile as we see fit. We will edit profiles as necessary. 13. WWOOFing is strictly voluntary. Hosts must be fully aware of the different regulations governing holders of Working Holiday, Student and Visitor (Tourist) visas. You are solely responsible for complying with the relevant rules and laws in your jurisdiction (if any) especially with regard to tax, insurance and must comply with Work Cover Legislation and Occupational Health and Safety Requirements, including the provision of all Personal Protective Equipment (PPE). WWOOF reserves the right to amend/update these guidelines as required. NOTE: WWOOF P/L cannot condone the breaking of State and/or Federal laws. WWOOF P/L reserves the right to cancel a Hosts registration immediately if we believe the Hosts' actions may bring the name of the WWOOF P/L program into disrepute. WWOOF P/L has operated in Australia since 1981 and has become a smorgasbord of Australia’s organic farms, permaculture and alternative lifestyle properties, offering travellers from Australia and overseas a taste of rural life. Host Profiles include contact details, a detailed property description, work to be done, and meal and accommodation arrangements, availability calendar and messaging links. WWOOFers search the website or their App, choose Hosts to contact, and arrange a mutually agreeable time to visit. WWOOFers live and work with Host families just as relatives or friends do when visiting. The minimum stay is 2 nights (to prevent WWOOFers eating, sleeping and leaving the next morning), the maximum stay is up to the Host and WWOOFer. 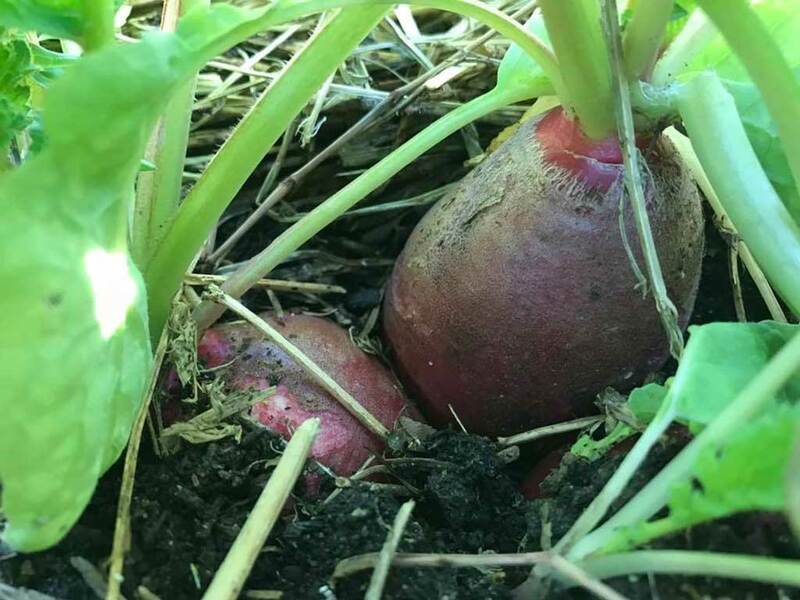 We receive so much positive feedback from our WWOOF Hosts about their wonderful experiences, but there can also be problems, WWOOF Hosting is not for everyone. Carefully consider the following issues BEFORE deciding to become a Host as you may need to deal with them if they arise. Good communication between Hosts and WWOOFers is essential. 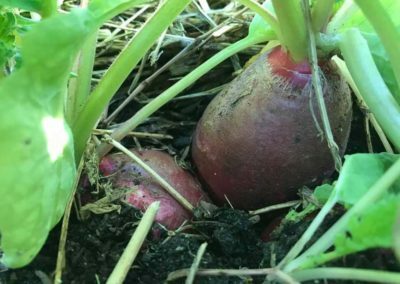 With patience, understanding and compassion, it can be a worthwhile and memorable experience for most WWOOF Hosts. Please read the Host Guidelines Obligations carefully. You can apply online to become a Host and set up your own profile. It is important to be totally up-front with the information about your property to prevent surprises and complaints. Many of our Hosts are very unusual, and this adds to the diversity of the WWOOF Program, so don't be shy about the things you offer that set you aside from 'the norm'! Your Host profile will be on our website and on the WWOOF App. To find WWOOFers, post regular advertisements in our Notice Board on our website. Please keep your profile accurate and up-to-date. WWOOFers search the website and WWOOF App for hosts, so be sure to include key words in your profile rather than generalisations. For example, rather than "we have many different animals", "we have pigs, horses, goats, chickens, ducks, bees and sheep" will ensure your profile comes up in many different WWOOFer searches. There are important visa regulations regarding work that WWOOF Hosts need to be aware of. The Australian Department of Home Affairs (DHA, formerly DIBP) allows visitors to Australia to WWOOF on Student, Visitor (formerly Tourist visa) and Working Holiday visas. Work is defined by DHA as, "an activity that, in Australia, normally attracts remuneration". This means any activity that normally attracts payment, irrespective of whether you are paying money or giving some other kind of reward, (eg food and accommodation) it is still deemed to be work. If you are going to offer "work" as defined by DHA you must ensure the WWOOFer has a visa that entitles them to "work". You can check this by ensuring their visa/passport is stamped appropriately. If they possess a Working Holiday Visa (WHV), 6 months is the maximum time they are allowed to work at any one establishment. If you need to check on a WWOOFers visa there is a free, online facility, VEVO, that allows an employer to check visa entitlements of a non-Australian passport holders' visa. You need to register to use VEVO and will need the WWOOFers permission to check their visa details. You will need their: name, date of birth, passport number and passport country of issue. IMPORTANT NOTE: DHA change the rules from time to time about what activities are allowed on visas, it is important to confirm with DIBP that the type of visa your WWOOFer holds does allow volunteering in exchange for food and accommodation. WWOOFers with a Visitor visa (subclass 600) Tourist stream (Tourist visa), Electronic Travel Authority (subclass 601), an eVisitor (subclass 651) or Student Visa must not do any work that would normally be done by a paid worker, but are allowed to do voluntary work in exchange for their meals and accommodation. WWOOFing must be a part of their holiday, not the main reason for it. WWOOFers on this visa should do work that a Host would not normally pay someone to do. On Visitor visas any work must be genuinely voluntary and must be work that would not otherwise be undertaken by an Australian resident. This principle also applies for those intending to undertake WWOOFing with commercial operators (such as large organic beef farms). 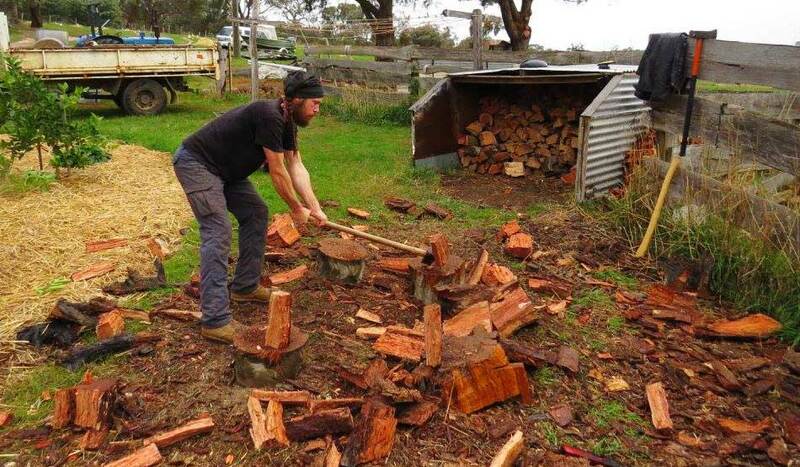 DIBP say that WWOOFers on a Tourist visa need to be careful about the Hosts they visit as commercial Hosts are more likely to give them work that they may consider is in breach of the conditions of their visa, we recommend they consider WWOOFing mainly on non commercial properties, hobby farms etc. WWOOFers undertaking work with commercial organisations risk being in breach of Visitor visa conditions which do not permit work. The Visitor visa does not offer the wide scope of options that are available to those who are holders of Working Holiday or Work and Holiday visas which permit work. • work as a genuine unpaid volunteer, but only if an Australian resident would not otherwise be paid to do the work (you can be reimbursed for out-of-pocket expenses such as meals and accommodation). See Visitor visa (subclass 600) Tourist stream, on the Visa Holders tab, under the heading What this visa lets you do. • the work would not otherwise be done in return for wages by an Australian resident. Can I work as a volunteer while on an eVisitor? • the work is genuinely voluntary and no remuneration is received in return for the activities. It is acceptable, under the conditions of an eVisitor, to receive meals, accommodation and/ or reimbursement of out-of-pocket living expenses in return for voluntary work. WWOOFing IS allowed on ALL Working Holiday Visas! IMPORTANT! Changes to rules for Second Working Holiday Visa applications came into effect on 31/8/2015. 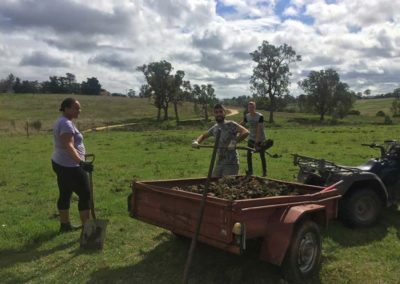 Volunteer work no longer counts towards the 88 days needed for visa extension applications unless WWOOFers were already with a WWOOF Host or had pre-arranged a WWOOFing stay with a Host. In these cases days can be counted until 30th November 2015 only. We rely heavily on feedback from all members to maintain the integrity of the WWOOF program. All complaints must be in writing, with names, membership numbers and dates. We verify the identity of a WWOOFer or host making a complaint, but treat this information as confidential. If we receive a complaint, we will contact the member about whom the complaint was made to follow up the issues raised. We will require the member to provide us with contact and membership details of other members they have hosted or visited. Failure to provide these details will result in the member’s registration being cancelled. We are aware that many problems arise due to personality conflicts and we always take this into account when dealing with complaints. We also take into consideration the length of time a Host has been in the program and the number of WWOOFers they Host. For complaints about unsuitable accommodation, food, inaccurate Host entries, unreasonably long working hours etc., we will ask for details of other WWOOFers who have visited the Host. We ask these WWOOFers about their experiences with the Host. First complaint: We inform the Host of the complaint, discuss the issues raised and request a reply in writing, and contact other WWOOFers who have visited the Host for their feedback. If the complaint is verified, we will discuss changes that will need to be adopted by the Host and, if appropriate, alter the Host’s profile to better reflect conditions on the property. Second complaint: we inform the Host again, discuss why this issue is still a problem and what can be done to resolve the problem, and warn the Host that a third complaint will result in the Host’s registration being cancelled. Third complaint: we will cancel the Host’s registration. If we receive a complaint about health and safety or inappropriate behaviour, including sexual harassment, we will contact the Host to inform them of the complaint and advise that their Host registration has been suspended pending resolution of the complaint. The Host’s profile will be removed from the WWOOF Website and App. This may seem harsh; however, when there is a concern raised about health and safety or sexual harassment, we must err on the side of caution, as we have a duty of care towards our members. If the Host disputes the complaint, the Host will be required to provide the refutation in a written statement along with details of other WWOOFers who have visited the Host. We will then contact these WWOOFers and ask about their experiences with the Host. If similar concerns are raised we will cancel the Host’s registration immediately. If the complaint is resolved to our satisfaction, the Host’s membership will be reinstated. If we receive a second similar complaint at any time in the future, the Host registration will be cancelled immediately. NOTE: WWOOF cannot condone the breaking of State and/or Federal laws. WWOOF reserves the right to cancel a Host’s or WWOOFer’s registration immediately if we believe the Host’s or WWOOFer’s actions may bring the name of the WWOOF program into disrepute. Any WWOOFer you accept will genuinely benefit from the cultural exchange. 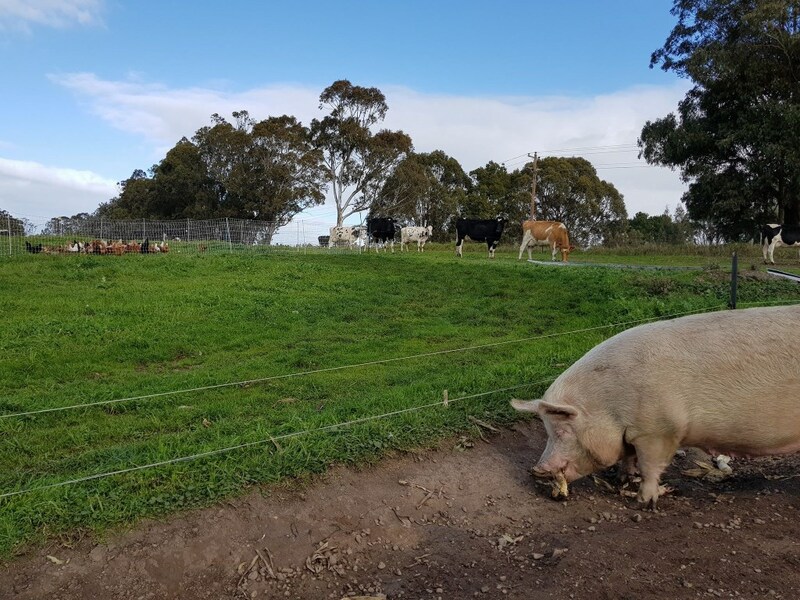 WWOOF Hosts must comply with the relevant rules and laws in your jurisdiction (if any) especially with regard to tax & insurance, Workcover, Occupational Health and Safety legislation, including the provision of all Personal Protective Equipment (PPE). Today there are over 55 WWOOF groups all over the world, including Switzerland, Germany, France, Japan, UK, USA, Austria, Korea, New Zealand and Canada. All WWOOF groups are independent, but operate in a similar way, by putting people into contact with each other. Throughout the world the WWOOF philosophy is the same; WWOOF hosts provide food and lodging to travelers and students in exchange for between 4 and 6 hours work per day. Lionel Pollard began WWOOF Australia in 1981. 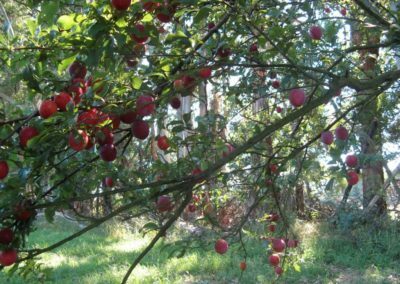 The WWOOF Office is located in W Tree in the foothills of the Snowy Mountains, East Gippsland in Victoria and currently employs three people. 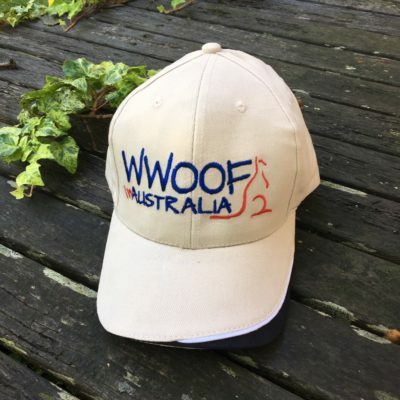 WWOOF Hosts all over Australia were originally listed in the Australian WWOOF Book, which was updated and printed twice each year from 1981 until 2017. 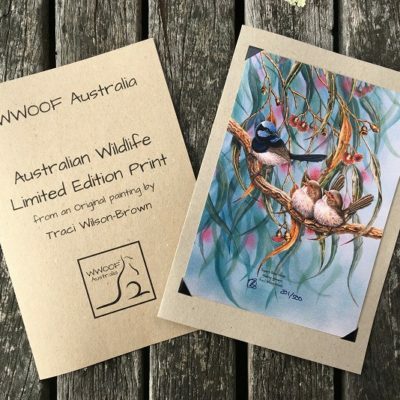 The WWOOF Australia App was launched in August 2015 and replaced the WWOOF Book, with the final edition being printed in July 2017. The App provides up to date host contact details, a profile of each property, the work to be done, meal types and accommodation. WWOOFers simply browse through the hosts or search for a specific interest and location, choose a place they would like to go and contact the host to arrange a mutually suitable time to visit. The choice may be based on geography (close to a route they are travelling); philosophy (such as bio-dynamic farming practices); cultural (many of our hosts speak other languages as well as English) or it may just sound like an interesting place to visit. WWOOFers live and work with the host families in the same way as relatives and friends do when they visit. In October 2017 the WWOOF Website platform was launched with Host and WWOOFer Profiles, messaging, forums, noticeboard, map and list searches and availability calendars for all members. In 2018 an upgraded WWOOF App will reflect the features of the WWOOF Website, allowing WWOOFers to also search for Hosts while they are off line. For contact details of WWOOF groups and information about WWOOFing in countries without a WWOOF Group, see WWOOF International. There is no monetary exchange between hosts and WWOOFers. Hosts and WWOOFers undertake to support each other, as friends and extended family do. WWOOF is a network of large and small organic, bio-dynamic and permaculture host farms and volunteers who help them. How do I pay to Join WWOOF? We offer payment by most credit cards, PayPal or Bank Deposit (EFT). If you pay by credit card or PayPal, your Account and Profile are active immediately. If you pay by Bank Deposit (EFT), your access is restricted until your payment clears. 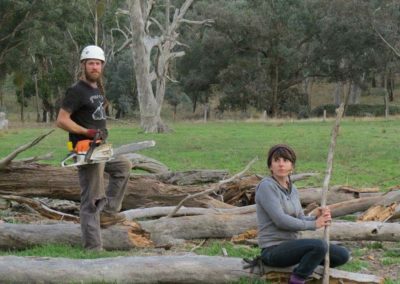 Does WWOOF Australia screen members? We do not perform background checks, although we do reserve the right to. WWOOF Australia is a fantastic organisation that has been around for over 36 years. It is the leader in linking volunteers and hosts, enabling lifetime experiences and education for both parties. Can I search for WWOOFers (volunteers)? Yes, hosts can search for and contact WWOOFers by skills and location. WWOOFers can advertise for hosts on the Notice Board. Upon signing up as a host you agree to our terms and conditions and must adhere to the WWOOF Guidelines. Either party has the right to end the relationship if things are not working out. It is important to understand that many WWOOFers come from countries with different cultural ideals, so when you make contact with a potential WWOOFer, be sure to communicate very clearly what you would like the WWOOFer to do during their stay with you. Sometimes, for whatever reason, the visit may not work out as expected. It may be miscommunication or unreasonable expectations from either party. Be honest and gracefully explain that it's just not working out and remember that the WWOOFer might need transport to a train station or bus stop, or need time to find another host. If you don't feel right, act on it immediately. You are not required to keep the WWOOFer on if it's not working out, but please assist them to move on and try to part on good terms. WWOOF Australia has a Complaints Procedure which we take very seriously. Any arrangement or agreement you make is your responsibility. Please make sure you make the arrangement clear so that the WWOOFer has a good understanding of your expectations before they arrive. How long is my host membership for? Your host membership lasts for one year from from the date your joining fee is received and can be renewed each year. How do membership renewals work? We will send you reminder emails leading up to your membership expiry date, so you will never miss your renewal date. Even if your membership expires, you will still be able to renew at any time via this website. 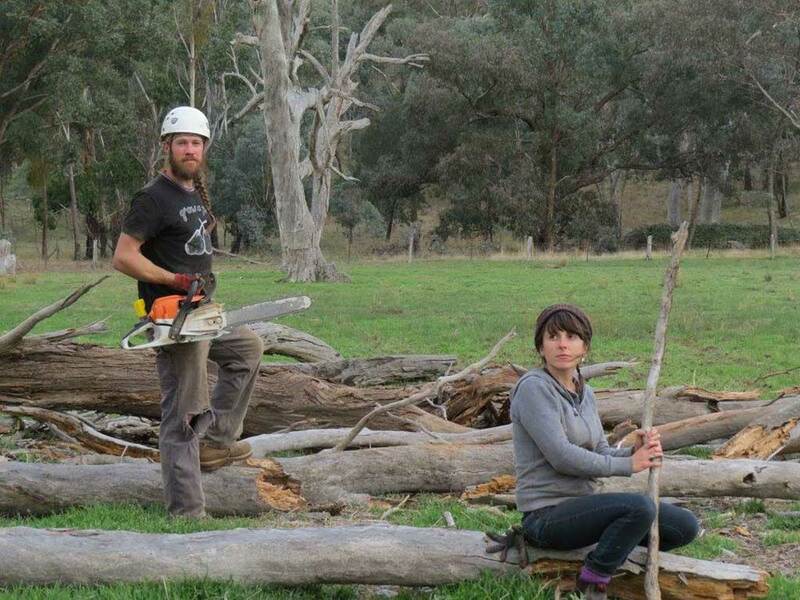 WWOOF Australia is committed to respecting the privacy of your personal information. It is bound by a set of National Privacy Principles that establish the benchmark for how personal information should be handled. WWOOF Pty Ltd. has embraced these principles as part of standard operating procedures. This means that all personal information received by WWOOF Pty Ltd. is dealt with in a uniform manner and with the highest regard for maintaining its security at all times. If you are concerned our organisation may have handled your personal information inappropriately, please contact our Privacy Officer on (03) 5155 0218 or by email.